Recycle cell phones for cash & reduce eWaste on earth. Pacebutler recycle your old cell phones. When you improve your cell phone to the latest model, you keep your old cell phone. The old cell phones are inept, since your activation only allows use of one phone at a time. Each year more and more cell phones are issued, but for the most part patrons aren't doing anything about their older models. Soon you have a stack of old phones collecting dust in your drawers. All used mobile phones may contain varying traces of dangerous chemicals and metals, like mercury, arsenic, cadmium, etc., and that they can present a serious threat to the environment and to people's health when these devices are disposed of carelessly. Increasingly, we're hearing reports of water and soil contamination in areas near landfills where used electronics have been deposited. So, how do we protect our health and the environment and get rid of the clutter of used and unwanted mobile phones? The answer is simple: Recycle cell phones. Pacebutler Corporation has all the answers to the questions for the mobile phone customers of utilization of old phone in the best possible ways, now while intending to buy a new phone one can now think of recycling used cell phones. There are many different groups of people all around the world who benefit from the recycling and re-use of mobile phones. Cell phone recycling helps everybody in the long run. If youâ€™re one of those people, you might be interested in knowing that the minimal effort it takes to recycle your cell phone. Pacebutler Corporation, based in Oklahoma, is at the forefront among the country's cell phone recycling organizations. By taking to recycle initiative with us, you will not only help protect the environment and clear your home of electronic junk, you'll also be well-compensated, in the process. With a firm commitment to our customers, charitable organizations, and the local environment, PaceButler Corporation is serving as the catalyst for the responsible re-use and recycling of used cell phones. Pacebutler receives, processes and tests nearly 70,000 used cell phones each month. Approximately 22% of phones are deemed unusable and sent off for recycling. The remaining phones are tested and the Company pays out thousands daily to customers in all 50 states. Everyone has to do his or her part in order to make sure that we reduce electronic waste and keep the world safe for future generations. Since youâ€™re not going to be using your old phone anyway, maybe itâ€™s time that you got serious about doing your part. 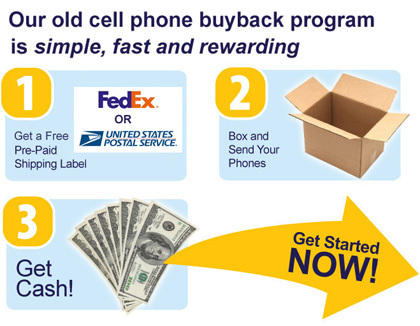 We at Pacebutler Corporation would make this easy for you with cell phone recycling. PaceButler Corporation was founded in 1987 by our CEO, Tom Pace with a miniscule investment. His objective to set up PaceButler was to ensure that every person who comes in contact with his company should benefit in a positive way. Buying used and old cell phones from individuals as well as organizations and reusing them or recycling them is something which our business does. This also gives us an opportunity to become proud of the fact that our business enables a win-win situation for our clients as well as the eco system. If these phones would not have been disposed off in the right way, their metals would land up in landfills which can seep into the ground and contaminate the earth as they contain so many harmful chemicals. The phones which you send us could be recycled or reused. The reusable materials in the phones are safely reused and if in case the phones can no longer be reused, we send them to a processing facility so that the toxic parts are properly disposed off. Contact PaceButler today itself to ensure that you make the best use of your old and used cell phones which you no longer require. PaceButler as a company obtains, processes and tests more than seventy thousand used mobile phones every month. You can be assured that we will pay a fair value of your old and unused phones. We are one centrally located place where you can dispose of your broken cell phones. Instead of keeping them in your drawers, receive a portion of your investment back on the cell phone and send your devices to us without any further delay! "I already got my check from PaceButler for my old cell phones. I'm amazed at your quick turn-around and your exceptional customer service. I appreciate it and will use you again and tell all my friends." "In an effort to get rid of unused inventory of cell phones, the service you provided was very helpful and your assistance was timely. Initially our company had not heard of the services so it was a benefit to us."